Energizing the São Sebastião do Oeste substation of CEMIG. CEMIG SE São Sebastião do Oeste 138kV / 25MVA – The VISION group successfully completed the energy of the São Sebastião do Oeste substation of CEMIG. 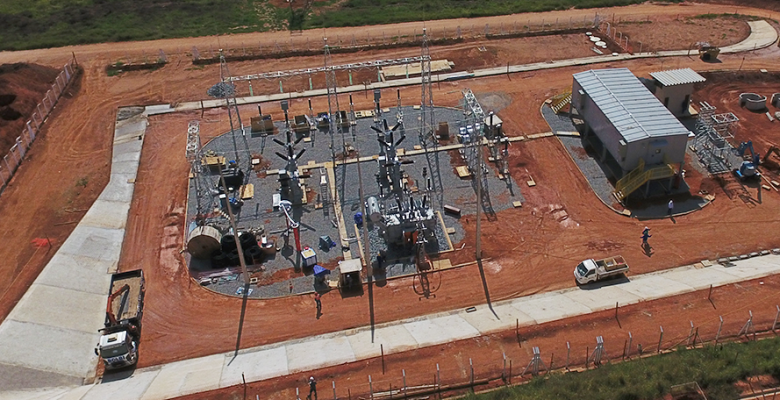 This 138kV / 25MVA substation (SE) uses hybrid switchgear module – GIS (Gas Insulated Substation), technology that allows high reliability, 90% less maintenance costs among other gains compared to conventional. SE São Sebastião do Oeste is a first company of CEMIG with an E-house solution (modular electric room, built and tested in the factory) that will house all the protection, control and distribution in 13.8KV of the substation, replacing the room conventional electric power before built in masonry. The substation is located near the highway MG-050 in the municipality of São Sebastião do Oeste in Minas Gerais near Divinópolis and aims to supply the need for energy, promote development and meet the demand of the avian industry, and chicken farms in the region.